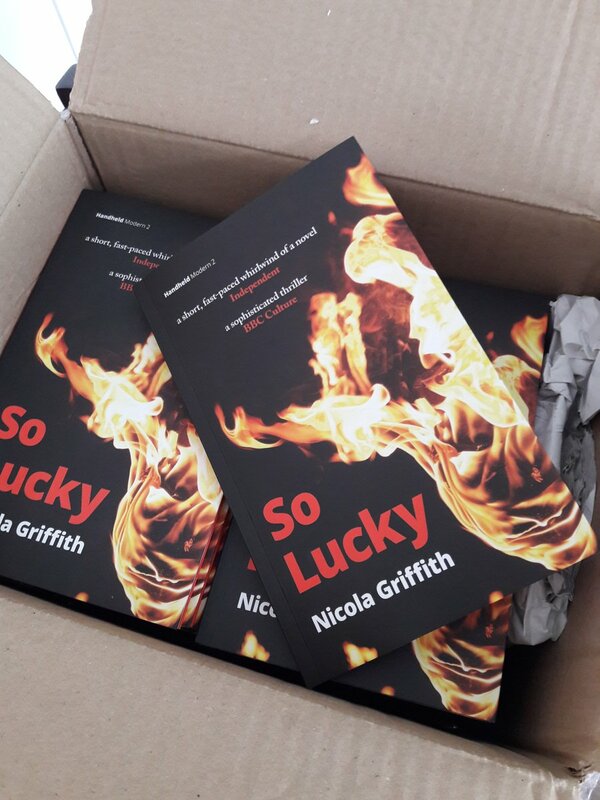 Image description: A cardboard box of books: So Lucky by Nicola Griffith. The book cover is black with a huge image of a torch flame. To celebrate, the UK publisher, Handheld Press, have enacted key scenes from the book and built a Twitter thread. Enjoy! Also, don’t forget the audio version, which I narrated earlier this year—available as a digital download or CD from Amazon or from any of those lovely independents linked above. Congratulations, and that is a neat advertising concept on the part of the publisher!